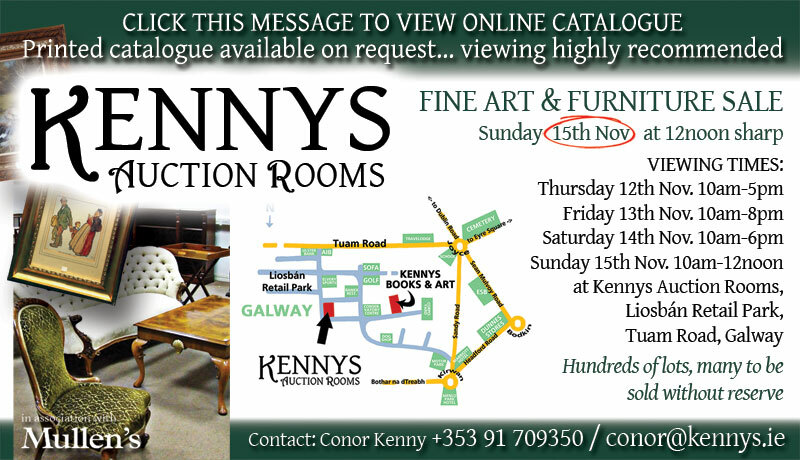 A new addition to Kenny’s of Galway operations in a premises close to their book warehouse is a fine art and collectables auction on Sunday 15th, November. 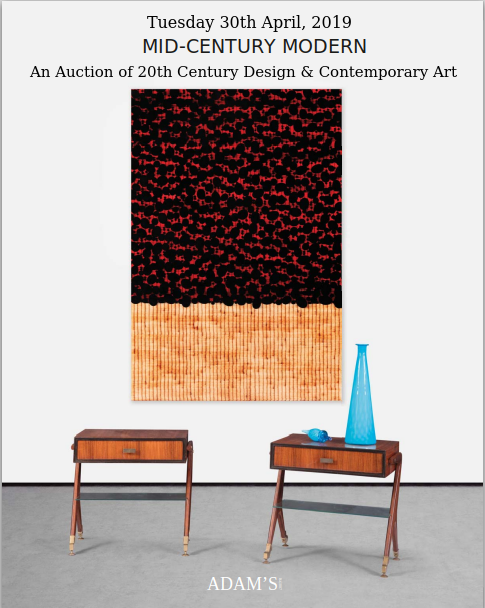 The auction is being run in association with the well known Dublin auctioneer – Joe Mullen – and there is something for everyone in the 400+ lots included in the sale. 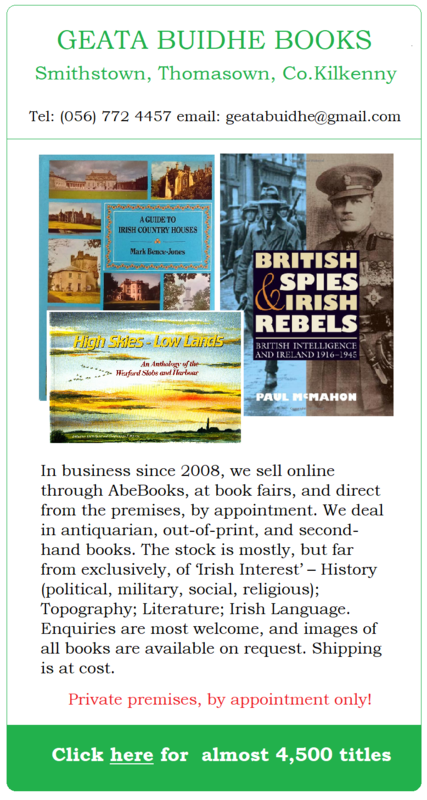 Paintings, prints, books, porcelain and a number of very attractive full colour lithographic posters advertising the Great Southern Railways, Guinness etc.